Opel will apply the Flextreme GT/E concept's styling to future cars. Opel and Porsche will highlight their fuel-efficient technologies at the Geneva auto show. Opel's five-door Flextreme GT/E concept shows how parent General Motors Co.'s extended-range electric vehicle technology can also be used for large or mid-size vehicles. Porsche also will debut the 911 GT3 R Hybrid, a race car with a hybrid powertrain. Peugeot's “5 by Peugeot” and SR1 concepts highlight the French automaker's new design language, which features a less aggressive appearance than the "big cat" look of current Peugeots. 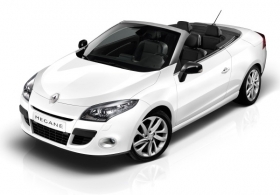 French rival Renault will show a small roadster called the Wind and the new Megane CC. Below is the fourth part of Automotive News Europe's A-Z guide to Geneva launches covering automakers from Mitsubishi to Renault. Mitsubishi's ASX compact crossover is a European-spec version of the RVR, which went on sale in Japan in February. The ASX will launch in Europe starting in late spring. The United States will get a version starting in autumn 2010. The model is part of Mitsubishi's strategic shift in Europe from being an SUV-focused nameplate to a manufacturer of environmentally friendly passenger cars and crossovers. The ASX is the first model to get the company's clean-diesel engine, a new Euro 5-compliant 1.8-liter turbocharged direct-injection unit jointly developed by Mitsubishi and Mitsubishi Heavy Industries Ltd. The engine will offer stop-start technology to improve fuel economy and will be mated to a six-speed manual transmission. 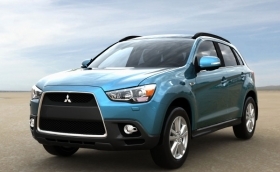 The ASX is based on the company's mid-sized platform, which is already used on the Outlander SUV and Lancer sedan. Nissan's key Geneva debuts are the Juke crossover and the so-called "Global Compact Car," which will replace the long-running Micra subcompact in global markets including Europe and Southeast Asia. Sales of the Global Compact Car start in Europe later this year following the model's debut in Thailand in April. No date has been given for a U.S. launch. Nissan plans to sell a version of the car in the U.S. for about $10,000. Production of the Micra replacement for the European market will be moved from Sunderland, England, to Renault-Nissan's new factory in Chennai, India. Instead of the Micra, the Sunderland factory will build European versions of the Juke crossover, which also debuts in Geneva. 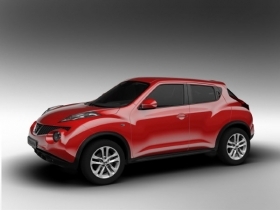 The production Juke that debuts in Geneva will closely resemble the Qazana concept shown at the same venue in March 2009. The Juke will go on sale in Japan in the summer, in Europe at the end of September and in North America toward the end of the year. Opel will show a concept for an extended-range electric concept car in Geneva. The General Motors Co. unit said the five-door Flextreme GT/E concept shows how GM's extended-range electric vehicle technology can also be used for large or mid-size vehicles. GM plans to launch two compact extended-range electric cars -- the Chevrolet Volt and its sister model, the Opel Ampera. The Volt launches in select U.S. markets later this year. The Ampera will go on sale in Europe next year. Frank Weber, Opel's head of product planning, said the Geneva concept's bold, expressive styling is part of the product strategy Opel will apply to future large and small vehicles across all market segments. Opel said the Flextreme GT/E has a battery-powered driving range of up to 60km (37 miles) and a total range of more than 500km (310 miles). 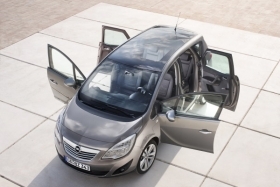 Opel will also debut its new Meriva small minivan, which will have rear-hinged rear passenger doors that Opel says are a first for a volume manufacturer. The Rolls-Royce Phantom Ghost sedan and Mazda RX8 sports car also have rear-hinged doors, but unlike those models the Meriva's rear doors open independently without the need for an overlap by the front doors. Opel launched the first-generation Meriva in 2003 and has sold just over 1 million units in Europe. 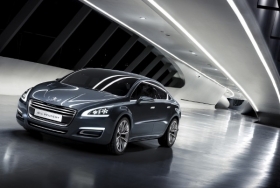 Peugeot will debut a near-production-ready version of its upcoming 508 sedan. The so-called "5 by Peugeot" concept previews the French automaker's new flagship, which will replace the 407 mid-sized model line and 607 large car beginning in 2011. The new Peugeot's dimensions, proportions and styling are the French automaker's response to changing trends in Europe's mid-sized segment, which is dominated by sleek, technically advanced models such as the Volkswagen Passat, Ford Mondeo and Opel/Vauxhall Insignia -- the 2009 European Car of the Year. The Peugeot concept features the French automaker's HYbrid4 technology, which in this case matches a front-mounted 165-hp 2.0-liter diesel with a rear-mounted electric motor that provides an additional 38 hp. Peugeot says the car uses 3.8 liters of fuel per 100km (62 U.S. mpg) and emits 99 grams per kilometer of CO2 -- or zero emissions when driving in full-electric mode. Porsche says the new Cayenne SUV that will debut in Geneva with hybrid and diesel versions will offer improved fuel economy of up to 23 percent compared with the current model. Cayenne prices will start at 59,596 euros ($80,468) including taxes in Germany for the base diesel model rising to 78,636 euros ($106,186) for the Cayenne S Hybrid and 115,526 euros ($156,000) for the Cayenne Turbo. 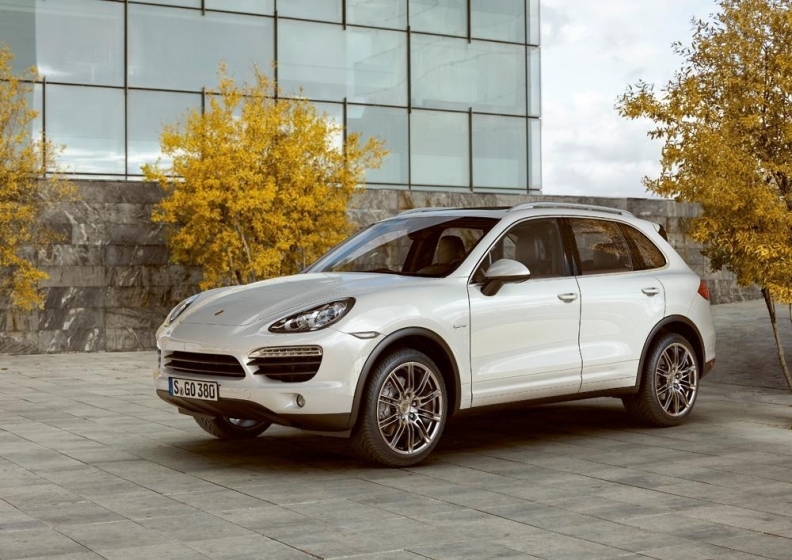 The Cayenne S Hybrid is the most fuel-efficient version with CO2 emissions of 193 grams per kilometer and fuel economy of 8.2 liters per 100km (28.7 U.S. mpg). The Cayenne hybrid has a 3.0-liter supercharged V6 that makes 333-hp and works with a 47-hp electric motor. The Cayenne will debut in Geneva along with its platform sibling, the Volkswagen Touareg, which will also have a hybrid version. Porsche will also debut the 911 Turbo S, a new range topper for the 911 model line that boosts the peak output of the 911's twin-turbocharged 3.8-liter boxer engine by 30 hp to 523 hp. Porsche says the extra power makes the new car the fastest, most powerful version of the 911 Turbo ever. In Geneva, Porsche also will debut the 911 GT3 R Hybrid, an all-wheel-drive racing version of its 911 with a hybrid powertrain. Malaysian automaker Proton and Italdesign Giugiaro will show a range of plug-in hybrid minicar concepts that they co-developed. The concepts get their hybrid drivetrain from Proton subsidiary Lotus Engineering. The UK firm designed and integrated its electrical drive system, single-speed transmission and Lotus Range Extender engine into the minicar range. Lotus uses a 1.2-liter, three-cylinder combustion engine to recharge the concepts' battery packs and provide electric power for the drive motor when battery levels are low. The engine can run on gasoline, ethanol or methanol. The concepts' batteries also can be recharged by plugging into a household electric outlet. The minicar family includes three- and five-door models with different body layouts. Italdesign Giugiaro created a specific platform for the new car range, which features a raised floorpan that can accommodate the hybrid system's batteries in the center. The concepts could become the basis of a new vehicle that will be the smallest car offered by Proton. 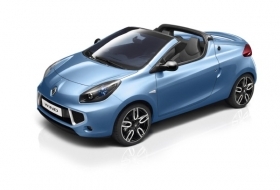 Renault will unveil two open-top models that will be sold only in Europe. The French carmaker is adding a small roadster, called the Wind, to its lineup. The two-seat car has a glass hardtop that pivots back into the area above the trunk in 12 seconds. The design is similar to the system used on the Ferrari 575 Superamerica. Renault says the design gives the car more trunk room than those with retractable hardtop roofs that use a hinge system. The Wind is based on the same platform as the Twingo hatchback but is slightly longer than the subcompact.